Seniors relax in class following the completion of an assignment. Teachers and administrators feel that it is the responsibility of seniors to ensure that they stay engaged in class. As the majority of college deadlines having passed, the Class of 2018 faces the potential challenge of “senioritis,” the phenomenon of declining motivation and performance that affects seniors, especially during the second semester. Even though college application deadlines have passed, colleges see both midyear and final transcripts and reserve the right to deny admission to an accepted applicant should the student’s senior-year grades drop, according to The College Board. 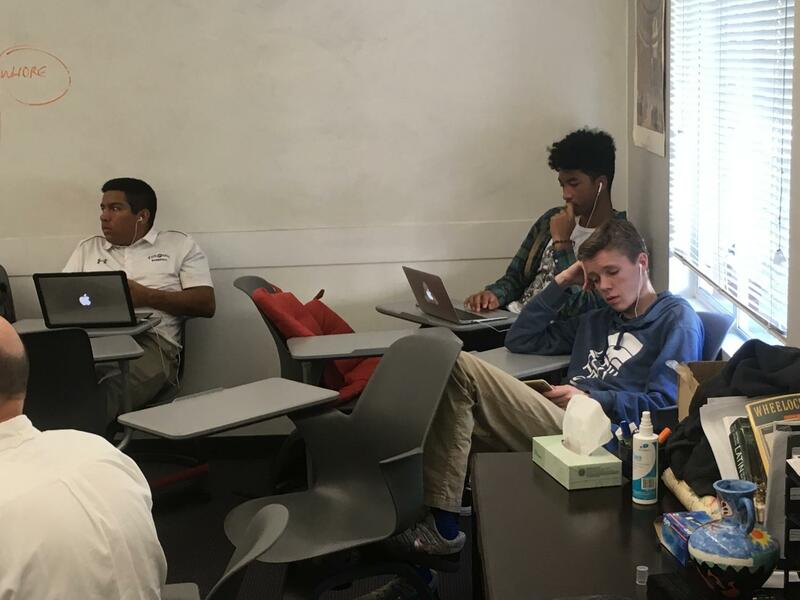 Faculty admit that senioritis existed when they were high school seniors, although there are a few noticeable differences with when it sets in and with what students do in their free time instead of homework. Nevertheless, teachers and administrators are leaving it to their students to make sure that they remain in acceptable academic standing and on track to graduate. Suggested treatments for senioritis from faculty include making action plans for all assigned work and trying to get the most use out of allotted study periods. Seniors have varying opinions as to who was suffering from senioritis and how badly, but admit it is happening.